This column was written by Suzanne Nossel. This month marks the first anniversary of the United Nations' 47-member Human Rights Council, inaugurated in June 2006 to replace and improve upon the world body's long-discredited Commission on Human Rights. Unfortunately, when the new council has made news, it's usually been for machinations disturbingly reminiscent of its predecessor. China, Russia, and Saudi Arabia have enjoyed seats at the table despite their dismal human rights records. 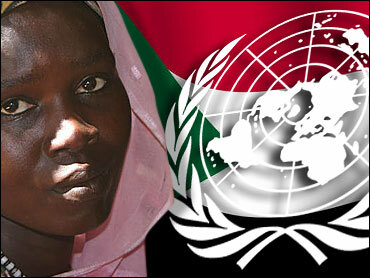 The Council has failed to implement the recommendations of its own High Level Mission to Darfur. It has perpetuated the old Commission's notoriously one-sided focus on Israel, and it has voted to end scrutiny of Uzbekistan and Iran, two places where human rights are sliding rapidly downhill. The Council's weak start is enough to make human rights advocates despair that the one opportunity in decades to overhaul the world's most universal human rights forum has come to naught. But amid the multiplying disappointments are signs that, with careful attention and pressure from the outside and within, the Council may still prove its worth. The stakes are high for human rights advocates and victims around the world and, potentially, for all those who keep faith with U.N. institutions. The new Council's flaws were apparent before it even convened. In particular, the U.N. membership failed to find a formula to ensure that any Council members would themselves boast strong human rights records. Attempts to raise the bar for membership by requiring super-majorities of global support for election also faltered. While the United States was adamant on these and other points, its lack of initiative, frayed diplomatic relationships, and the in-your-face tactics of former U.N. ambassador John Bolton meant that most American proposals fell flat. As a result, while all but four U.N. member states voted to create the Council, a handful — including the United States — dismissed it from the start as yet another skulk of foxes running politically motivated patrols over the henhouse of humanity. Having declined to join the body at its inception, the United States again opted out when new elections for Council membership were held in May. But it's far too soon to write the Council off, and, if you look carefully, there are some hopeful signs. During last month's elections, Belarus — one of the world's more egregious human rights violators — was decisively beaten in its bid for a seat on the world body, thanks to a determined campaign by a small number of states, including the United States, as well as a coalition of international and Belarussian NGOs. While Belarus initially ran unopposed, Bosnia's late entry into the contest drew enough votes to humiliate Belarus and, we can hope, deter other violators from similarly audacious bids. Second, debates now under way on the working procedures of the Council could, depending on their outcome, position the body to be more hard-hitting and influential. One of the key arguments is over the degree of independence to be granted to Council investigators and fact-finding missions. Human rights groups and some Council members are fighting to protect the independence and autonomy of these investigators, rejecting, for example, proposals to subject them to an intrusive code of conduct that would impinge upon their ability to operate effectively. The outcome of these debates will be crucial to the credibility of the Council. Earlier this month Chilean President Michelle Bachelet invoked her own experience under the Pinochet dictatorship in calling upon the Council to uphold the independence of the experts. We'll learn in a few weeks whether the Council heeds her caution. Third, as it completes a long phase of so-called "institution-building," the Council will launch into some areas of work that could make a real difference. One is the universal periodic review, a process by which the Council would review the human rights records of every single U.N. member. Done by credible experts afforded adequate time and resources to get the job done, this process could force the Council away from the politicized approach of its predecessor and toward emphasizing the most egregious violations regardless of where they originate. It's also critical that the review process include clear recommendations and diligent follow-up to see whether the offending governments have corrected their ways. Backing intrepid, unbiased investigators and conducting universal country-by-country reviews that pull no punches would represent a big step forward for the international human rights system. The stakes are high. The absence of a credible global body to set standards and hold regimes accountable is a gap that cannot be filled by either national governments or non-governmental organizations, or — as some have proposed — an institution populated exclusively by western-style democracies. Moreover, given the energy and political capital invested in replacing the Commission, if the Council fails, it's hard to envisage the international community setting out to revamp the U.N.'s human rights apparatus again anytime soon. The fate of the Council may also be a harbinger of the direction for future battles over U.N. reform. The dissolution of the Commission on Human Rights and its replacement by the Council is unique in the U.N.'s history. Not since the League of Nations has a discredited global body been disbanded and then rebuilt. The decision to do so marked a potentially path-breaking decision on the part of the U.N. membership to override obstructionists and correct a global institution gone awry. Right now, despite impressive capabilities and major achievements in humanitarian assistance, post-conflict reconstruction, and other areas, the U.N. is still in need of significant reform. Though important progress was made under former Secretary-General Kofi Annan, the U.N.'s bureaucracy remains bloated and its key institutions — including most notably the Security Council — outmoded. Debates on Security Council reform have stalled for over a decade. With a cautious Secretary-General in Ban Ki-moon and bipartisan antipathy in Washington, the momentum for further reform is in question. The difficulty of reforming other areas of the U.N. underscores just how unusual the human rights overhaul was. If successful, the transformation from Commission to Council could help restore the faith of skeptics in a multilateral system that is mature enough to curb its worst excesses and reform itself. If it fails to win credibility, by contrast, the Council will become living proof that the international community's inertia and bias are all but insurmountable. This will fuel calls in Washington and elsewhere to give up on further efforts at U.N. reform in favor of sidestepping the institution whenever possible. The coming weeks of negotiations will dictate whether the Human Rights Council can overcome its past, and may suggest whether U.N. reform has a future.